Given its geographic position, the British Isles are often affected by extreme wet and stormy winter weather. Still, the large number of low pressure centres (storms) affecting the UK during the winter of 2013/14, which led to exceptional wet and windy conditions, is extraordinary even in a long-term context. The resulting wind damage and widespread coastal and inland flooding had considerable impact on infrastructure and transportation (see Figure 1). A recent special issue of Weather (February 2015 ) collects several short papers on this topic and provides an overview of the winter 2013/14 over the British Isles. The winter was characterised by mild weather: winter temperatures were among the highest on record, around 1.5 degrees Celsius above the UK long-term average. Cold spells were almost absent, and few frost days were recorded during the winter. On the other hand, the winter was the wettest in the historical records, with 165% of average precipitation over the UK. The large precipitation amounts led to a rise in groundwater levels and to exceptionally high river flow in many catchments across the UK. While southern England and South Wales where worst affected, exceptionally high river flow also occurred in parts of northern England, Scotland and other parts of Wales, and new record maximum river levels were reached in many locations. Saturated soils and high groundwater levels contributed strongly to the occurrence of landslides, and widespread inland flooding affected large areas – lasting in some areas until the end of April 2014. The combination of high winds and high tides led to severe coastal flooding, particularly in Southwest England and Wales (see Figure 2). 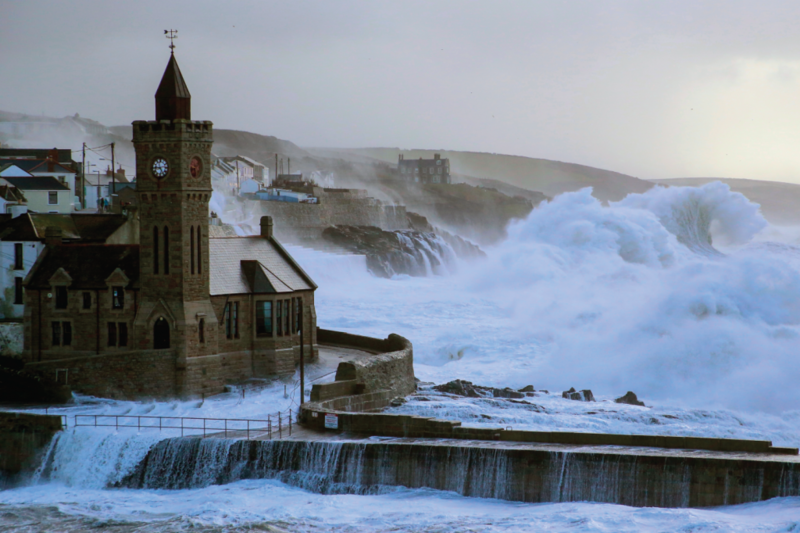 Figure 2: Huge waves battering the Cornish coast at Porthleven on 5 February. Photo by Matt Clark (http://www.metoffice.gov.uk/climate/uk/interesting/2014-janwind). A lot of the precipitation was associated with the large number of low pressure centres which affected the British Isles during the winter. They often arrived in rapid succession as cyclone families (also known as “clusters” – an example appears in Figure 3). Their occurrence was fostered by a strongly positive phase of the North Atlantic Oscillation and a highly persistent, zonally orientated, and extended polar jet over the eastern North Atlantic and Western Europe, which drove North Atlantic low pressure centres towards the UK. Frequent secondary cyclogenesis (new storms developing on the trailing fronts of previous storms) contributed further to this effect. Some of the storms were particularly intense, and their total number was very unusual. When compared to other stormy winters such as 1989/90, 1992/93 and 1999/2000, the main difference is that winter 2013/14 was characterised by a much longer period under the influence of clusters of storms. In fact, a publication by the Irish Weather Service considered the winter 2013/14 over the British Isles as the stormiest on record. This is in line with the unprecedented number of severe gale days identified over the UK. The fact that the low pressure systems often stalled over the British Isles and the North Sea largely contributed to the extraordinary precipitation totals over the British Isles. Figure 3: Satellite image depicting a family of low pressure centres approaching the British Isles on 11 February 2014. Courtesy Dundee satellite receiving station (http://www.sat.dundee.ac.uk/). The global causes for the extraordinary winter are still under debate. Some publications associated its occurrence with extraordinarily low temperatures occurring over the North American continent at this time, generating recurrent cold air outbreaks. At the same time, the tropical Atlantic was comparatively warm. This combination lead to strong temperature gradients over eastern North America and the eastern North Atlantic, and these are likely to be at least partly responsible for the persistent and intensified jet stream over the North Atlantic. Influences from the tropical Pacific and tropical stratosphere may have contributed to the unusual large-scale conditions over the North Atlantic and Europe. Winter 2013/14 points to the necessity of a better understanding of the drivers of extreme winter weather over the British Isles and its variability. This is particularly relevant within the scope of the climate change and associated change in risks. Huntingford, C., Marsh, T., Scaife, A.A. et al., 2014. 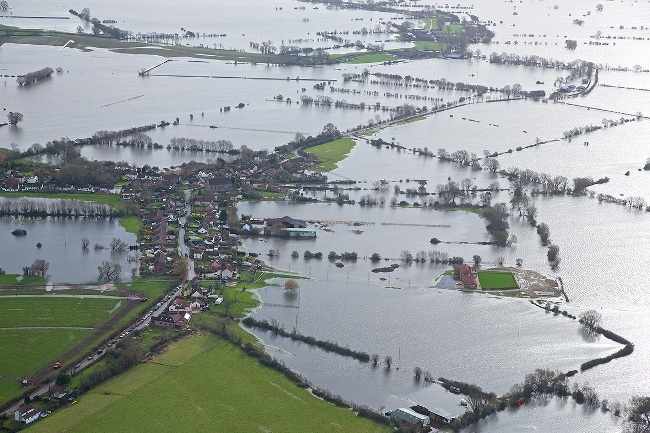 Potential influences in the United Kingdom’s floods of winter 2013–2014. Nat. Clim. Change, 4: 769–777. doi:10.1038/nclimate2314. Matthews, T., Murpy, C., Wilby, R.L. and Harrigan, S., 2014. Stormiest winter on record for Ireland and UK. Nat. Clim. Change 4: 738–740. doi:10.1038/nclimate2336. Pinto, J. G., Gómara, I, Masato, G., Dacre, H. F., Woollings, T. and Caballero, R., 2014. Large-scale dynamics associated with clustering of extratropical cyclones affecting Western Europe. J. Geophys. Res. Atmos., 119, 13,704–13,719, doi:10.1002/2014JD022305. This entry was posted in Climate, Climate change, Environmental hazards, extratropical cyclones, Hydrology, Weather and tagged winter 2013/14. Bookmark the permalink.